Anna and Benjamin's family has just moved into their dream house and even though it's in the middle of a busy town, it has a beautiful big garden for them all to enjoy. 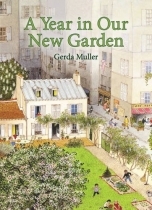 Soon the family has made plans for their perfect garden -- Mum wants a lawn and a terrace, Dad wants to help the birds and insects, Benjamin wants to plant beautiful flowers and Anna wants to fill the garden with tasty vegetables. Join Anna and Benjamin as, with a little help from their neighbour, they spend a year learning about all the wonderful things you can do in a garden; planting, harvesting, playing, enjoying picnics and spotting wildlife. Alongside the charming story, A Year in Our New Garden also gives real gardening tips and provides recipes for tasty home-grown snacks to inspire children to get outdoors, be active and learn how nature changes around them throughout the year. 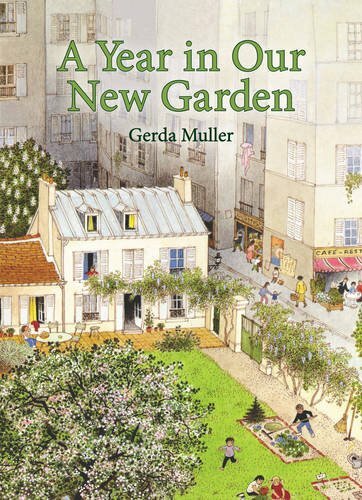 This beautifully detailed, seasonal story is a perfect companion to Gerda Muller's A Year Around the Great Oak and How Does My Garden Grow?